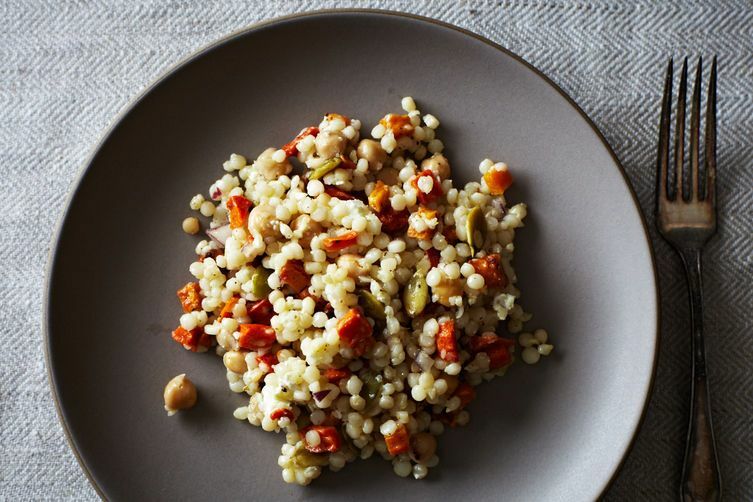 Today: Turn leftovers into bestovers—couscous works for any meal of the day. It’s always leftover season if you’re a Food52er, but it's important to come up with new ideas for using them in order not to get bored. Luckily, one of our favorite things to dream up is bestovers. 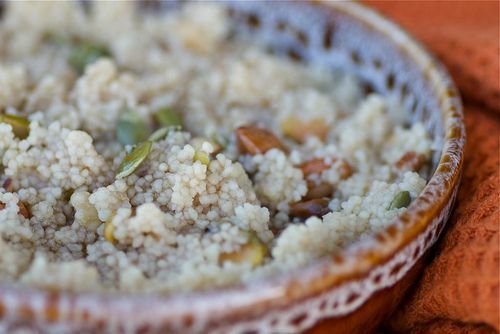 Drbabs suggests warming leftover couscous with milk and enjoying it instead of oatmeal for breakfast. 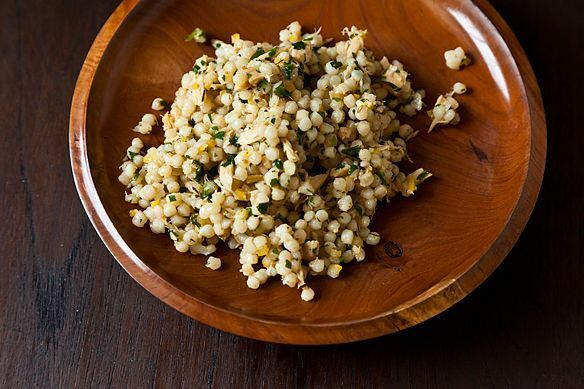 Panfusine pairs couscous with budget-friendly frozen peas: "Temper some mustard seeds, add cumin, toss in some minced ginger root and maybe a diced serrano pepper (if you like heat), along with some diced onions and frozen peas. Sauté until the onions turn translucent and the peas get soft. Season with salt and some garam masala and fold in the couscous. Sprinkle with some water, cover the couscous, and cook on low for about five minutes until the flavors combine. Garnish with chopped cilantro and serve warm with a wedge of lime." Meaghan F suggests using it to stuff roasted vegetables. 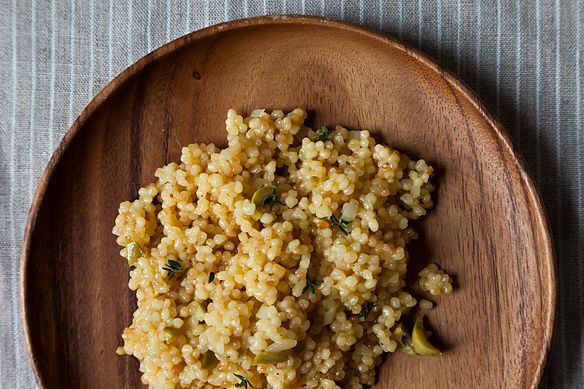 What's your favorite use for leftover couscous? Tell us in the comments or join the conversation over on the Hotline! I often have Lemon-Oregano pearled couscous leftover from my favorite Salmon recipe. I like using it the next day for a little late-morning brunch topped with a fried or poached egg. If I have any tomato confit leftover from the Salmon, I'll top it with a spoonful of that as well. Love couscous!